Indian stock markets fell sharply last week as caution prevailed over stretched valuations in the absence of fresh buying triggers. Interestingly, markets in the US, Japan, Hong Kong, UK, Brazil and Russia all posted hefty gains. Key technical indicators are signalling consolidation on the markets, with the Nifty bound in a 4,878-5,047 points range. Other studies suggest that if the downtrend continues this week, the short-term trend would be bearish, with more declines in the offing. On Monday, we will likely see a cautious start as the markets brace for crucial economic data such as industrial output and manufacturing numbers for August, which will be released around noon. If the data shows a pickup in industrial and manufacturing activity in August, which is normally a slack month, the markets would respond positively. The response would be based solely on the intensity of the data. Indicators such as the Purchasing Managers’ Index suggest that these numbers should be good. Also this week, investors await the earnings reports of Axis Bank Ltd, Housing Development and Finance Corp. Ltd, or HDFC, HDFC Bank Ltd, Jaiprakash Hydro Power Ltd, Bajaj Auto Ltd, Jindal SAW Ltd, Tata Consultancy Services Ltd and UltraTech Cement Ltd. A host of second-rung firms are also scheduled to announce their quarterly earnings, which would be crucial in influencing market sentiment. Globally, sentiment continues to be upbeat, with the Dow hitting a closing high for 2009. Intel Corp., Johnson and Johnson, JPMorgan Chase and Co, Goldman Sachs Group Inc., International Business Machines Corp., Bank of America Corp. and General Electric Co. are due to report earnings that will be watched by investors to judge the strength of economic revival in the US. Among other global indicators, the dollar’s performance will be a key market driver. If the dollar weakens, the commodities and stock markets would strengthen. September retail sales and consumer price index and initial claims for jobless insurance would be watched for more cues on the US economy. Investors will also keep an eye on a two-day monetary policy meeting in Japan that concludes on Wednesday. Back home, technical indicators point to initial consolidation, with positive breakouts likely in the later part of the week. If during the initial phase of consolidation, the Sensex breaks below 16,481 points or the Nifty goes below 4,878, the bears could tighten their grip. A bounceback from these levels, supported by very strong volumes, would mean a bottoming of the market in the short term. These indices could then touch fresh short-term highs. As of now, the Sensex is likely to witness its first resistance at 16,787 points, which is a moderate level, followed by strong and crucial resistance at 16,996. If this level goes, the Sensex would soon touch new short-term highs and may also witness a quick, short rally, which will have its target resistance at 17,347 points. On the way down, the Sensex will have strong and crucial support at 16,481 points. If this support level is broken, investor sentiment would be considerably dented. The next, moderate support would come at 16,240 points. 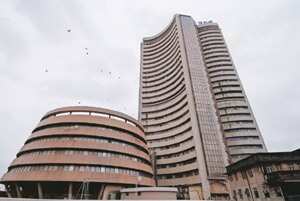 The Sensex has strong support at 16,029 points. In terms of the S&P CNX Nifty, the first resistance would come at 4,989 points. If this level goes, the next resistance would be at 5,048 points, which is very crucial. If this level too goes, the Nifty would touch a new recent high and aim for 5,134 points, which would be a stopover and not the termination point of the rally; strong resistance for the Nifty will then push it to 5,198 points. On its way down, the Nifty will have its first and most crucial support at 4,878 points, which would be followed by moderate support at 4,845 and strong support at 4,793 points. Among individual stocks, this week, HDFC Bank, Union Bank of India and HDFC look good on the charts. HDFC Bank, at its last close of Rs1,675.65, has a target of Rs1,707 and a stop-loss of Rs1,638. Union Bank, at its last close of Rs243.20, has a target of Rs251 and a stop-loss of Rs234. HDFC, at its last close of Rs2,693.40, has a target of Rs2,732 and a stop-loss of Rs2,656. From the previous week’s recommendations, Reliance Capital Ltd and Bank of Baroda met their targets easily despite losses in the broader markets. Power Finance Corp. Ltd missed its target, but continues to be a valid recommendation.